An orange (Citrus sinenis) thick skinned juicy edible fruit that is a reddish-yellow color when ripe. It is a type of citrus fruit which people often eat. Oranges are a very good source of vitamins, especially vitamin C. Orange juice is an important part of many people’s breakfast. The “sweet orange”, which is the kind that is most often eaten today, grew first in Asia but now grows in many parts of the world. Oranges are round orange-coloured fruit that grow on a tree which can reach 10 metres high. 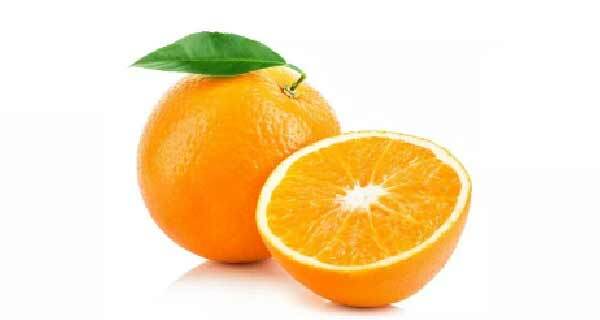 The color orange takes its name from the fruit. Oranges are eaten by hand and squeezed a lot. The calcium in fortified orange juice is better absorbed than the calcium in milk. A glass of milk (8 ounces) has 291 mg of calcium of which 93 mg is absorbed (31%). Fortified orange juice (8 ounces) has 350 mg of calcium; of which 130 mg. is absorbed (37%). One orange contains about 50 mg. vitamin C; this is about 2/3 of our daily need; Oranges are an acid and therefore a detoxifying fruit; Bitter oranges can’t be eaten raw and are used to make marmalades; Citrus fruit is never colored artificially. In the tropics the fruit keeps a green to green with yellow stains color. Your body detoxifies itself all day and for the biggest part during your sleep. Especially until noon it is therefore sensible to eat fruit only. Your body has to dispose of the toxic elements it receives from stimulants, nutrition and pollution.